Shimla is the capital city & largest city of the Himachal Pradesh. Shimla is also the most economically-developed district of the Himachal Pradesh. As people income depend on horticulture & its related small businesses. Shimla is also included in Atal Mission for Rejuvenation & Urban Transformation [AMRUT] Project. This has increase the number of jobs & business opportunities in the city. 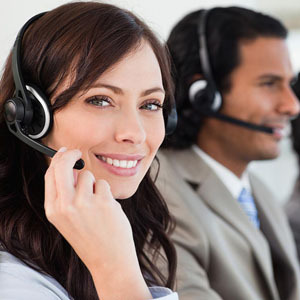 There is a lot of scope for IT and BPO sector in Shimla. Industrial Area: Shoghi is the Industrial Area of Shimla. IT & BPO organization can easily set up their business in the city. Transportation System: Shimla is well connected with Rail, Road & Airport. Organization can easily do their business in the city. Connectivity: Shimla’s closest cities are Solan, Paonta Sahib, Baddi & Chandigarh. Organization can easily expand their business in other cities. Power Supply: Shimla has 24/7 hours electricity facility. It will be beneficial for organization to run their business without any power shortage. Educational Institutions: Shimla is an educational hub. Number of students from Engineering, Management, Computing, Animation, Tourism & Hospitality, Management, Science, Commerce, Legal Studies, & Media Studies fields are graduating from Government & Private Universities, Colleges. So, organization will have skilled workforce for their different business model. It’s high time that the government need to take some major steps for setting up “IT & BPO Centres”, so that more and more job opportunities are available for the students of the city. I hope Himachal Pradesh Government will consider my suggestion & very soon set up “”IT & BPO Centre” in the state, so that new business enterprise will come & numbers of jobs will increase in the city.